On Saturday, December 1, 2018, at approximately 9:55 PM, Deputies were dispatched to a report of a shooting at an address in the 3600 Block of Saguaro Circle. When deputies arrived, they discovered a deceased victim with a gunshot wound. 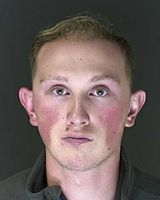 All individuals at the home were interviewed by investigators and as a result of information gained through the initial assessment of the scene, 21-year-old Isaac James Klippert, DOB: 091797, was arrested and booked into the Criminal Justice Center for Manslaughter, First Degree Assault, and Prohibited Use of Weapon. Alcohol appears to be a factor in this case. The El Paso County Sheriff’s Office is currently investigating this case as an accidental shooting. Details regarding this case will not be available immediately based on the fact that this is an ongoing investigation. Information will be released as the investigations allows. A mugshot of Klippert is attached to this media release.